HONG KONG, March 28, 2018 – The LGBT Foundation, which aims to harness blockchain technology for the benefit of the global LGBT community 1, today announces a new strategic approach in response to the evolving cryptocurrency regulatory environment. In order to ensure compliance and security of its future users, the LGBT Foundation will depart from the conventional approach of a public token sale ahead of its platform launch. LGBT Foundation will instead focus on readying its infrastructure to ensure acceptance of its cryptocurrency tokens (LGBT Tokens) as a regular form of payment for goods and services at launch. Due to recent and ongoing changes in the regulatory environment, the Foundation is taking careful precautions to ensure the project remains compliant with legislation in jurisdictions across the globe. Hornet Networks, the instigator of the LGBT Foundation and world’s premier gay social network with over 25 million users, will build and fund the development of the platform alongside private investors. Once the platform infrastructure with built-in token utility is in place, the LGBT Tokens will immediately go into sale and circulation. Consumers will be able to spend their tokens that day at participating launch partners who have pledged acceptance of the LGBT Token as a means of payment for their services. By getting ahead of the evolving compliance requirements, LGBT Foundation ensures the success of the project and furthers the Foundation’s goal of becoming the catalyst that pushes the ecosystem to the next level of maturity. 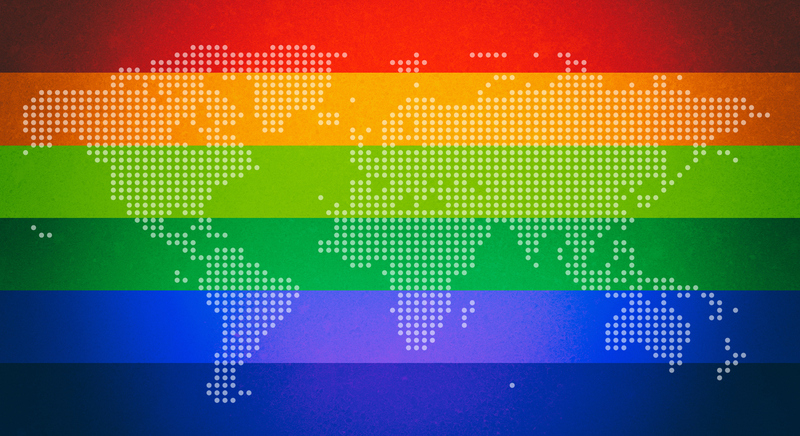 The LGBT Foundation will continue to leverage blockchain to achieve equal rights and acceptance for the LGBT community. Once the platform is ready, the Foundation will generate tokens that will be seeded into participating users and launch partners – so that they will be able to participate in the tokenized Pink Economy from day one of the platform’s launch. The updated project timeline and further details will be announced in the “Pink Paper” that will be released in early April at https://lgbt-token.org/. To facilitate the launch partners’ adoption of the LGBT Token, the LGBT Foundation has established a Network Accelerator Program to help businesses adopt the Token by granting a significant portion of Tokens to the users of participating partners. By allowing each app or community to immediately utilize Tokens and move existing reward programs seamlessly to the LGBT Token, it will kickstart the ecosystem of the launch partners and future LGBT Foundation members. In addition, the Foundation is developing a platform for partners to store and handle the LGBT Token that allows transactions to clear in a matter of seconds with very low fees. Partners will also utilize the Foundation’s Single-Sign- On technology (“SSO”) as an additional option for their respective apps to allow Foundation users to log-on while protecting their identity. Other practical measures such as providing plug-ins for e-commerce stores and devices in physical locations that accept LGBT Tokens as payment will further promote adoption. The LGBT Foundation is an organization that aims to deliver equality for the global LGBT community through technology and non-profit uses of its tokens. By harnessing the power and potential of blockchain technology and other technological innovations, the Foundation aims to foster greater acceptance of the LGBT community, drive positive social change for the benefit of its members, and protect vulnerable community members. The aim is that the LGBT Foundation will evolve to become a self-governing body run by and for members of the LGBT community, and which directs its activities, resources and members to the benefit of the international LGBT community. 1 LGBT or LGBTQ, LGBTQI or LGBT+ includes Lesbians, Gays, Bisexual, Transgender, Queer, Intersex, and other communities defined by their sexual self-identification. We celebrate the spectrum of diversity as well as gender fluidness and will work to support and include + elements through the efforts and makeup of the Foundation.